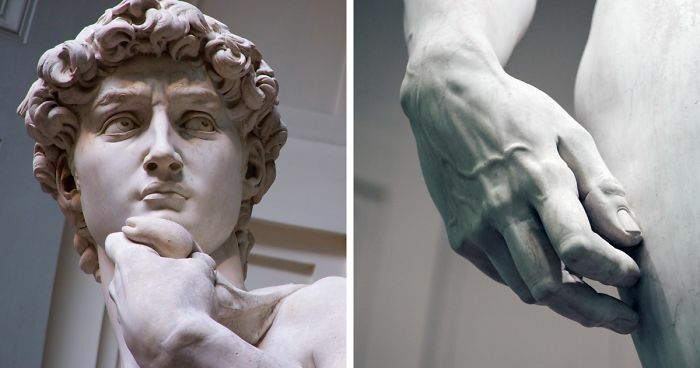 Few sculptures are as famous as Michelangelo’s David, and if you’ve ever seen it you’ll understand why. 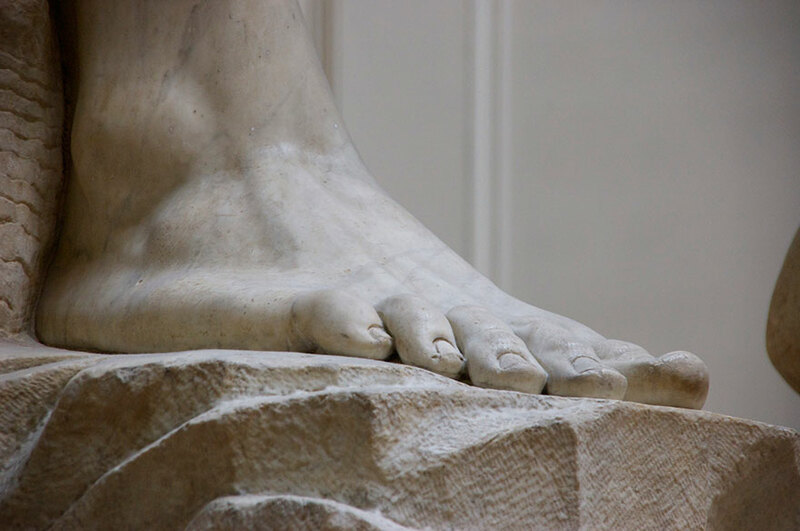 The masterpiece of the Renaissance period was completed in 1504, when Michelangelo was just 29 years old, and today over 8 million people per year visit the Galleria dell’Accademia in Florence so they can marvel at the iconic marble statue. 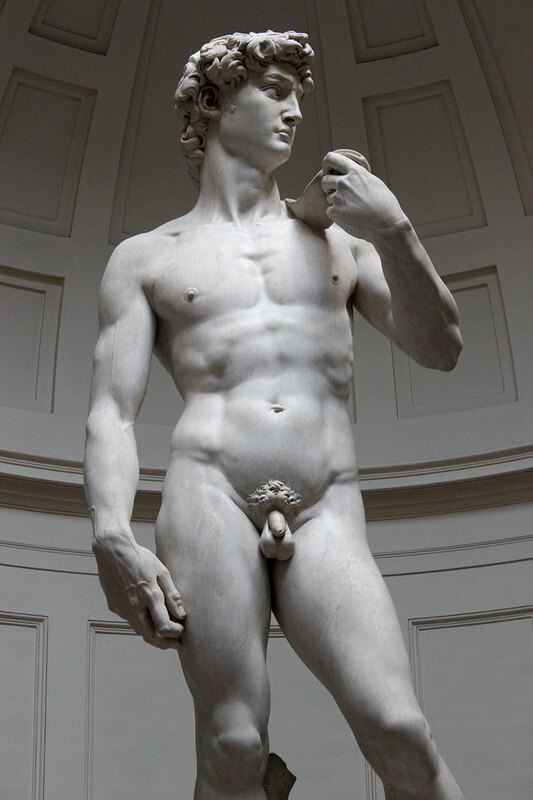 David is 17ft tall (over 5 metres), weighs 12,478 lbs (5,660kg), and was carved from a huge single block of unwanted Carrara marble. He took over two years to carve and he depicts the Biblical David who took down Goliath with a well aimed slingshotted rock to the forehead. 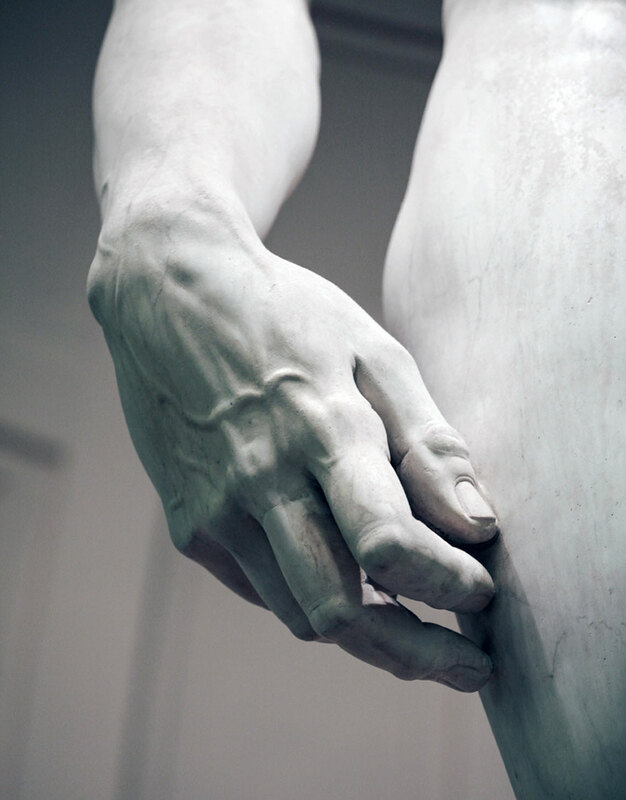 It looks magnificent enough from a distance, but if you really want to appreciate Michelangelo’s mastery then you need to take a closer look at his incredible attention to detail. It took him 2 years, and the result is 17ft tall (over 5 metres) and weighs a whopping 12,478 lbs (5,660kg)! Oh wow, I appreciate his work even more now. 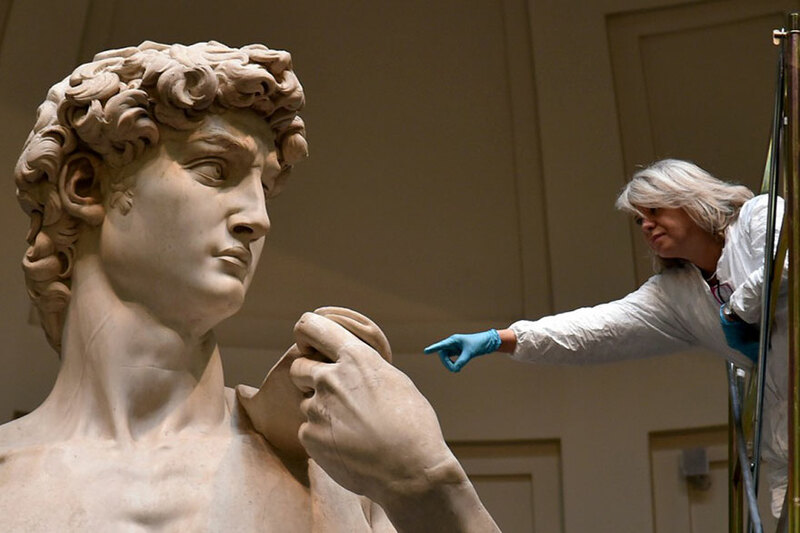 However there's something wrong with the eyes of the "idea how David would look like"... A bit creepy? Creepy indeed and why give him facial hair? True. His irises are too big. I thought the same thing. It also appears older than the statue. I agree. The eyes don't look right. Why can't David be creepy in real life. Who says he has to be dashing to be a hero. Uhh David had red hair. Either way, very creepy, that last pic.